Add/Change supplier companies is used to specify suplier companies by reason of easier software use. Companies are needed in input of new products form. You must specify supplying company. Later you can search through database and view just data for selected company. � To change company data just click on company name, change data and press 'Save' button. � To delete company from list just click on company name, and press 'Delete' button. 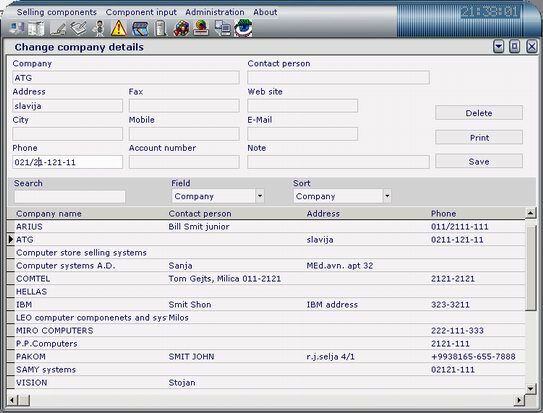 � You can perform search through database.